Each company has a specific set of values, beliefs and ideas that run at its core. They define its stance and also have an impact on its operations or its products. An ethos is so important because it permits the customer to identify with its products. Brand loyalty is derived from that sole idea. Omega is a company that has a very strong ethos and identity. 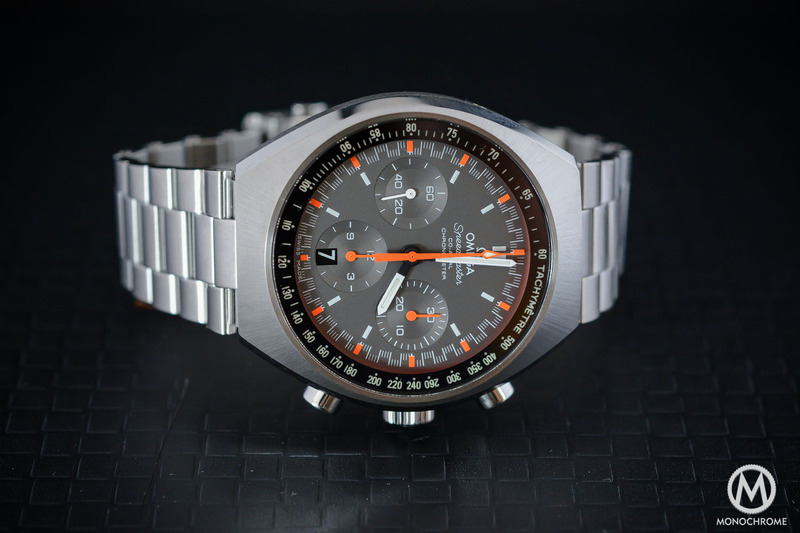 Many believe, however, that the company is synonymous with classic sports watches like the mighty Speedmaster and the iconic Seamaster. And while the company did shape the evolution of sports watches/chronographs in ways that few others have done, I nevertheless beg to differ. 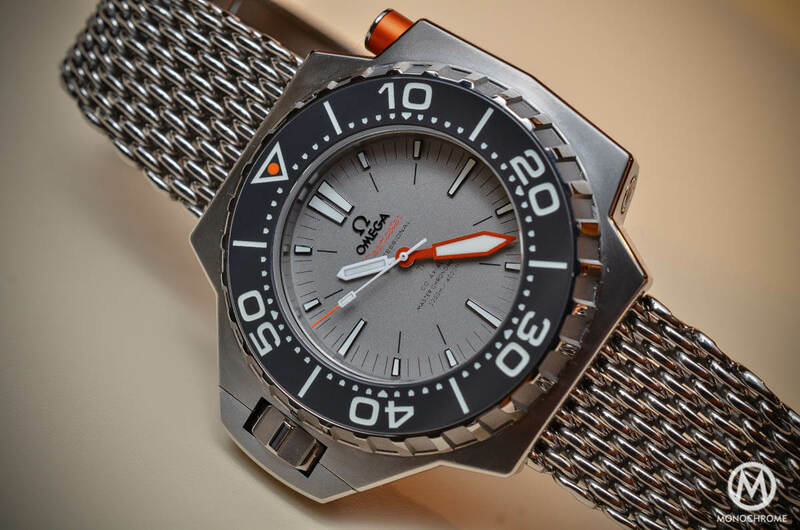 Omega is a company that has a rich heritage of producing many diverse watches. Their new offering, introduced at Baselworld 2015, is a watch that comes to redefine a classic line of very unique and important timepieces. The new Omega Globemaster is a direct descendant of the vintage Omega Constellation of the 1950s and 1960s, enriched with many unique features. Lets accurately turn back in Time. Before the Speedmaster and the Seamaster, the Omega Constellation was Omega’s flagship. 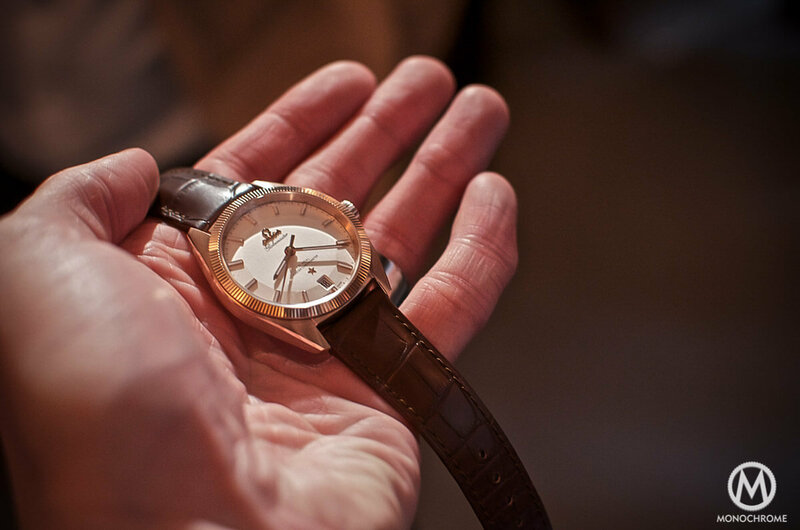 This particular family of watches dates back to 1952. Its ancestor was the “Century” watch, a limited-edition self-winding chronometer wristwatch launched in 1948 to celebrate the firm’s 100th anniversary. According to Omega’s ‘Journey Through Time’, it was this particular watch – and the enthusiasm and high demand it generated – that led the company to create a new family of automatic chronometers. The name and the symbol of the line chosen by Omega were striking: it was dubbed ‘Constellation’, and the cupola of the Geneva Observatory decorated the caseback. These choices underscored Omega’s commitment to timekeeping excellence, the raison-de-etre of any watch. The name Constellation is an astronomical term. Its etymology comes from the latin word constellatio, which can be translated as a ‘set of stars’ and the modern astronomical term the “area of the celestial sphere around a specific asterism” dates to the mid-16th century. Omega wisely chose this name because it implies a perpetual movement through the cosmos, which is consistent and predictable like the operation of a reliable mechanical watch. 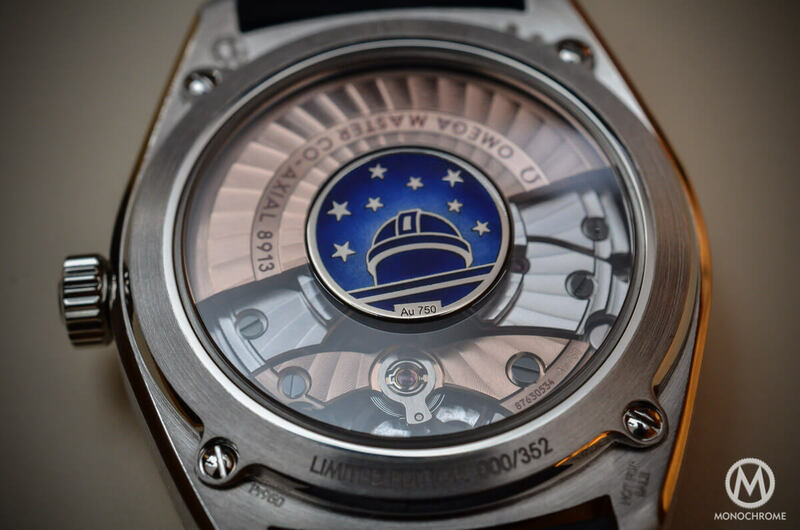 The symbol of the Geneva Observatory’s cupola also succinctly implies that it is a chronometer timepiece built and tested to very high standards. During the late 19th and early 20th centuries, before quartz and GPS, nations, industries and armies depended on precise mechanical timepieces. Therefore, manufacturers and their master watchmakers spent significant amounts of time and resources on preparations for Observatory trials, which were held throughout Europe. These events were not intended to showcase new products. Instead, the Observatory trials focused on the science of Chronometry and the ability to make chronometers measure time precisely. The Observatory trials were the “crown jewels” of Chronometry and, interestingly, only Patek Philippe and Omega participated every year. Performances at these competitions garnered for the company a reputation of precision and innovation. Omega clean-swept the competition in 1931. By winning first prize in all 6 categories of these trials, Omega’s prowess as a precision timing company was assured and Omega was chosen as the official timekeeper for the U.S. Olympic Games in 1932. This was the first time that a single company was entrusted with this important task. The Cal. 47.7 achieved near perfection in 1936 when it scored 97.8 points of 100, a precision record which has never been broken. Omega re-sets their records in 1951, taking first place in Geneva and at Kew-Teddington trials many times. Following their repeated success in observatory trials, Omega utilized their expertise in producing COSC certified models until they headed the annual list of certified chronometers. 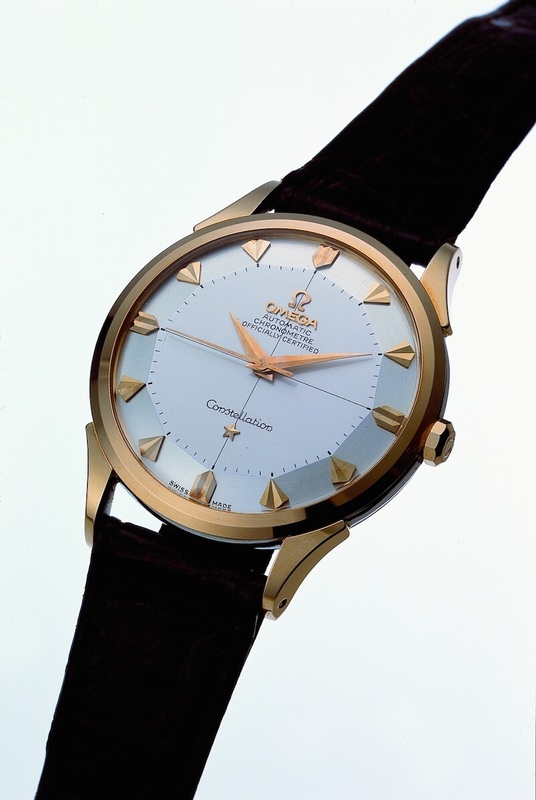 For more than a decade (1958 – 1969), Omega was by far the largest manufacturer of COSC chronometers – mainly with their famous Constellation models. The Classic Constellation of the 1950’s & 1960’s. The classic Constellation family of watches had two defining characteristics: elegance and performance. This line of watches can be divided into two periods – from 1952 until 1964 and from 1964 until 1978. The 50’s line, defined by the combination of sumptuous yet elegantly refined cases, sported pie-pan shaped dials and distinctive hour shaped markers with ultra-precise bumper movements – chronometer rated. The ‘Connies’, as Omega enthusiasts fondly refer to them, were one of the finest and most accurate lines of watches available at the time and catered to various budgets and tastes. The Constellation was available in steel or gold; the Constellation Deluxe was only offered in gold with applied gold indexes on the dial; and finally the Constellation Grand-Luxe was available in gold or platinum with corresponding dial and the so-called “Brick link” bracelet. The distinctive and luxurious visual aspects of the early ‘Connies’ were refreshed by the experimentation on the dials which led the company to adopt a convex-sided dial – this new arrangement was called Pie-Pan and this unique feature was reintroduced in the new Omega Globemaster. 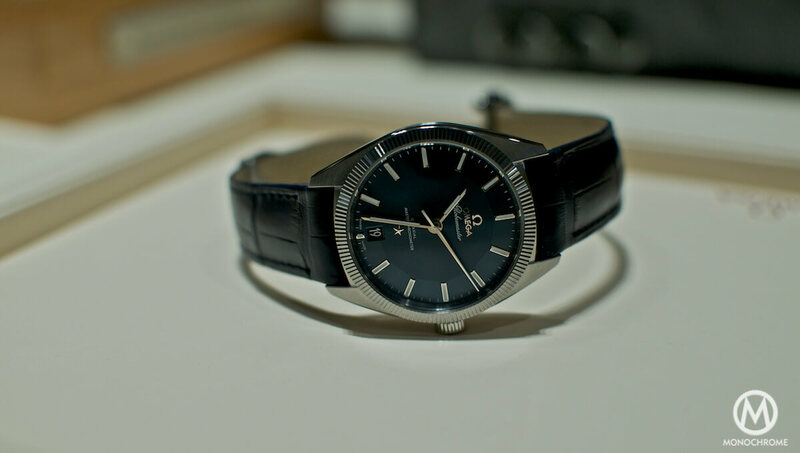 Here we must note that, in the United States, this line of watches was at first known as the Omega Globemaster due to a trademark conflict which was resolved in 1956. Many of these watches simply have the Constellation star on the dial. The watch drastically changed in 1964 with the introduction of the C-shaped Constellations, which, although they had a different overall look, continued to be elegant, luxurious and ultra-precise. The new design reflected the emerging trend of the 1960’s toward bigger watches with contours on the case resembling two-interlocked Cs. The revised ‘Connie’ had a minimalistic dial and the lugs were fully integrated, maximizing the impression of a larger case. Stainless steel, gold and platinum were available. Thin baton hands and faceted baguette markers lent a more uncluttered style overall. 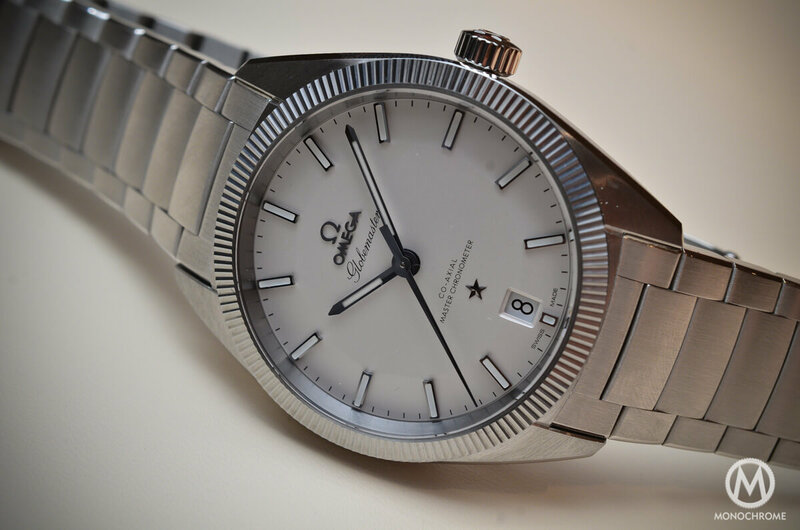 In 1966 Omega released the fluted/knurled bezel version, which gave an even more luxurious tone to the model; another identifying feature that Omega reintroduced in the new Globemaster. Elegance and everyday functionality were the first and foremost characteristics of the Constellation/Globemaster lines of watches. 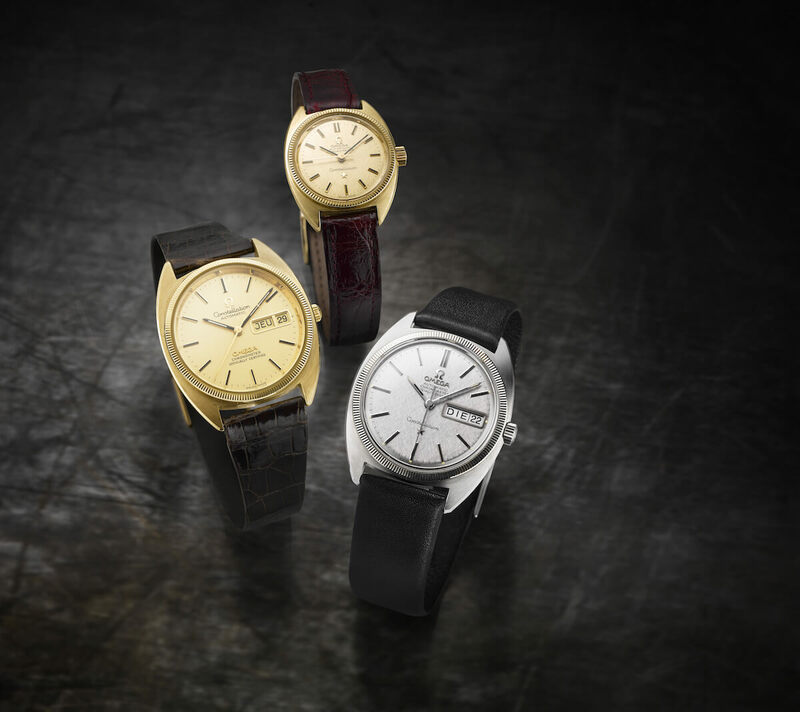 Unique design features like the pie-pan dials and the fluted bezel use of gold and platinum, and elegant cases all came to define classic aesthetics. However, this family of timepieces was not only about eye-candy appeal, since its proven performance packed a distinct punch as well. At the beginning, Constellations housed the cal.352RG and cal.354 bumper movements. Unlike a modern automatic engine, where the rotor spins a full 360 degrees, the rotor of a bumper movement moves back and forth about 120 degrees, bumping off of a pair of springs on opposite sides. These movements were already developed to a great extent, but were fine-tuned by Omega to chronometer standards. In 1956, the cal.501 became the staple of the line, but was quickly replaced by cal.505, and finally, in 1959, calibers 551 and 561 (with date) were introduced. The cal.551 was a true masterpiece. It had 24 jewels, a four-arm beryllium balance and excellent anti-magnetic properties/. It also proved to be an extremely reliable caliber. In 1966, the cal.564 with a quick date feature was introduced. In parallel with the 500 series of movements, the 700 series super-flat movements were produced in a limited number of pieces since they were only available in solid white or yellow gold watches. Last but not least, in the 1970’s the 1000 series calibers were introduced, with the cal.1011 and cal.1021 being the stars of the line. All these calibers were tuned to chronometer standards making this line synonymous with excellent performance. The Geneva cupola medallion on the caseback of the Constellation line was there for a reason – what better proof than the Omega’s museum reference about a specific 1969 Constellation that was returned to Bienne after 36 years and then re-certified as a COSC chronometer? Omega’s new model was just recently presented at a special event, and the Monochrome team was there in full force. Although no one knew the exact reason for this specific press event, the crowds were patiently waiting in long queues that put this reporter in mind of those that precede high-profile rock concerts. The event was extremely lively, with great music and drinks provided in a wholly cheerful atmosphere aglow with an aura of mystery – Omega officials kept their agendas tightly close to the vest. 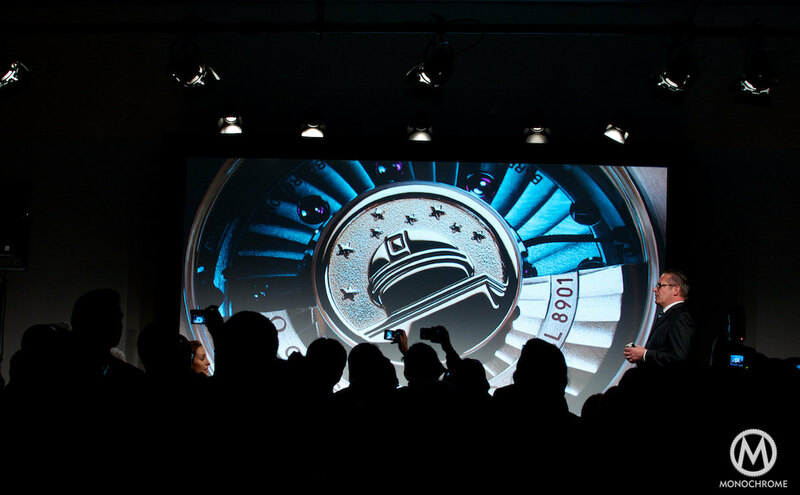 The company’s CEO Mr. Urquart and Mr. Monachon made a speech, and then introduced the watch with great pride. At the end of the presentation, another area was revealed, where all guests could see the Omega Globemaster displayed alongside vintage Constellations. The Museum Director as well as Omega’s watchmakers were on hand to clarify, explain and answer any questions. Aesthetically, the Globemaster is an extremely elegant timepiece, in my opinion perhaps the perfect everyday dress watch. As was already mentioned, it borrows two great design characteristics from the past: the iconic pie-pan dial of the 1950’s Constellations and the fluted bezel of the 1960’s models. Here we must mention that the fluted/knurled bezel is not a solitary domain of one specific company. It is a characteristic design used by many companies within the watchmaking industry, especially in the past, to decorate their models. 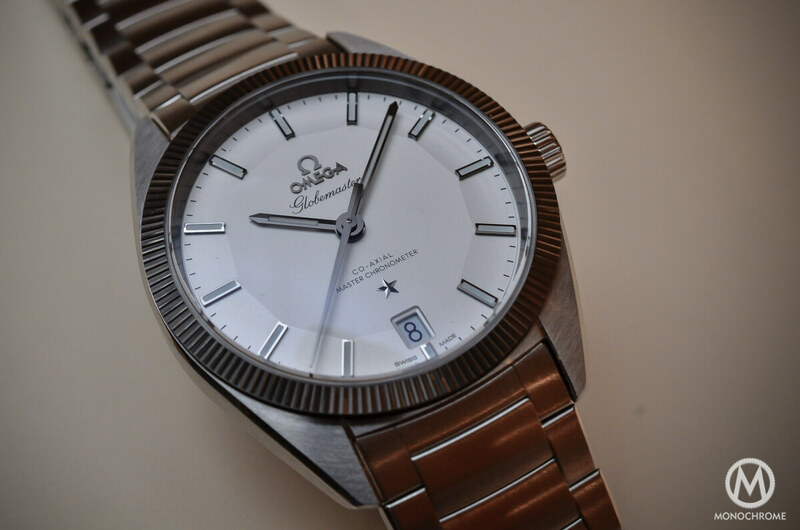 Omega used this feature for various models, including the C- shaped Constellations from 1966. 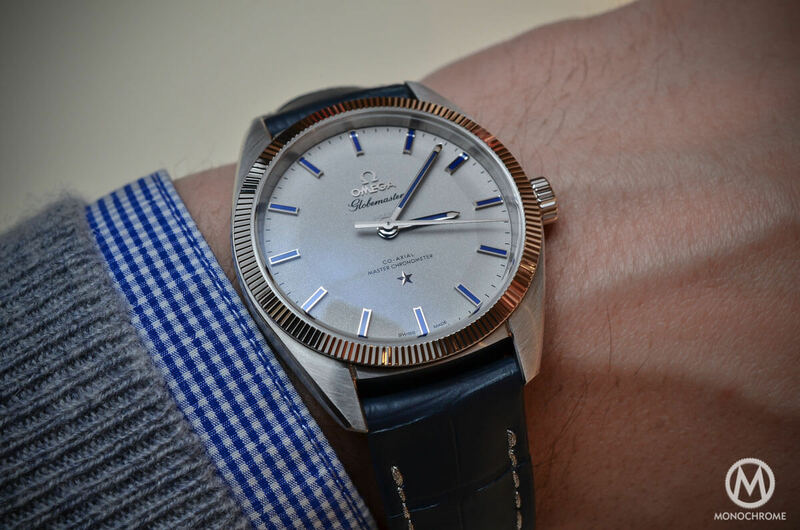 The Omega Globemaster is a 39mm timepiece, which actually wears much larger. The case is a thing of beauty, being sumptuous yet elegantly refined. It is brushed and has four polished bevels that connect the edges of the lugs to the bezel. A sunburst blue dial – which I fell in love with – graces both the full stainless steel and bi-metallic versions, which are available with a bracelet or a blue leather strap. Opaline dials are found on the 18K Sedna gold, the 18K yellow gold, the stainless steel and the stainless steel and 18K yellow gold editions. The indexes and the characteristic Constellation star are applied on the dial and are either 18K Sedna gold, 18K yellow gold or are rhodium-plated or blackened depending on the configuration. Here we must note the attention to detail that Omega put into this watch – it is astonishing. On the stainless steel versions, the fluted bezel is made of tungsten carbide, a chemical compound which can be pressed and formed into shapes, since in its most basic form it is a fine gray powder. Tungsten carbide is extremely tough being two times stiffer than steel and much denser than steel or titanium. The Globemaster’s tour-de-force lies beneath the hood and the medallion that graces the caseback makes a bold statement. As we already mentioned, the company was a major player in the prestigious observatory trials. The eight stars in the sky above the observatory symbolize the most important chronometry awards that Omega earned in the past, and parallel their ongoing present commitment to enduring quality enhanced by the eight METAS-certified criteria that a timepiece and its movement must meet in order to receive Master Chronometer status. The Globemaster is a watch that both upholds and transcends the core values of the company and connects the past with the present and the future. The Omega Globemaster and its newly introduced Co-Axial caliber 8900, is the first Omega that meets the Master Chronometer standard, which consists of 8 important features. Omega officials mentioned at the Globemaster’s debut gala that the new watches will have master chronometer indicated on the dial; this will certify that the watch met all the extremely high requirements, as tested and approved by METAS. 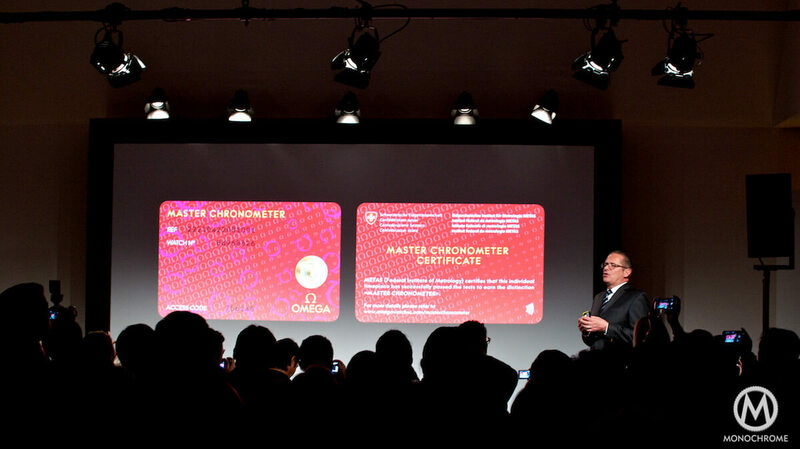 All Master chronometer watches will come with a certificate in the form of a credit card that will allow their owners to logon to the Omega site and check all the measurements and test results of their own prespective timepieces. The new Omega Globemaster is a watch inspired purely by the DNA of Omega and inimitably represents the ethos of the brand. This timepiece is very important for the company. Firstly, it revives the classic Constellation/Globemasters by staying faithful to their two most striking and identifying qualities: looks and performances. The combination of new materials with the classic aesthetics of the vintage Constellations enriched by the two characteristic defining features (pie-pan dial & fluted bezel) create a truly gorgeous watch. Secondly, the link between the chronometer status of the vintage line and the new METAS test (and the eight stars medallion) is a brilliant move, since it shows that the company transcending values by offering advanced mechanical movements that have been finely tuned and vigorously tested under very stringent procedures. 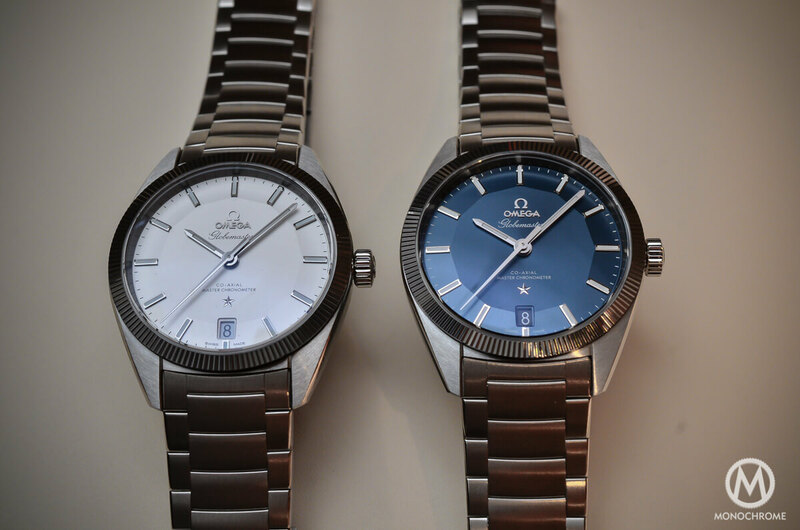 Last but not least, the company presented the Omega Globemaster and not another sports watch/diver/chronograph. 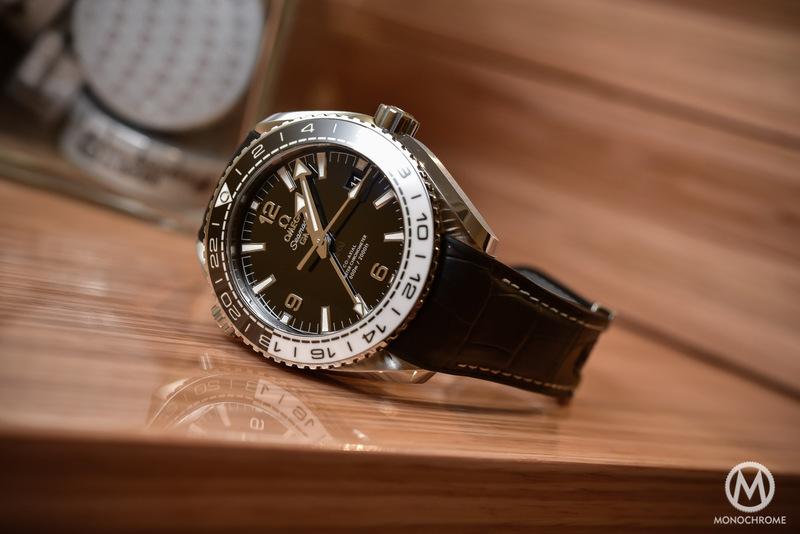 It was a classy move which not only revived its dress line of watches, but also proved that Omega’s strong presence is already established in the purely sports watch/diver/chronograph lines. Diversification is never a bad thing, and more options for the customers is always something that is appreciated in the market. 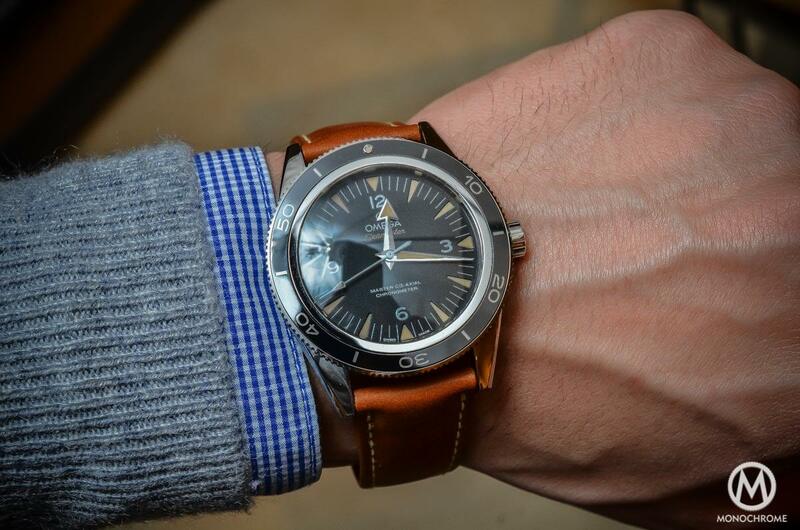 Although I am more of a Speedmaster/Seamaster kind of guy, I must say I am impressed. Purpose-built sport watches and chronographs are my weakness; but for some rare occasions where you need to wear something elegant without any compromise on performance, the new Omega Globemaster is the perfect choice. Many thanks for a most elegantly written report of the Globemaster. This is one of the very, very few watches I just know that I will have to acquire one day. Thank you for a well documented and informative note. 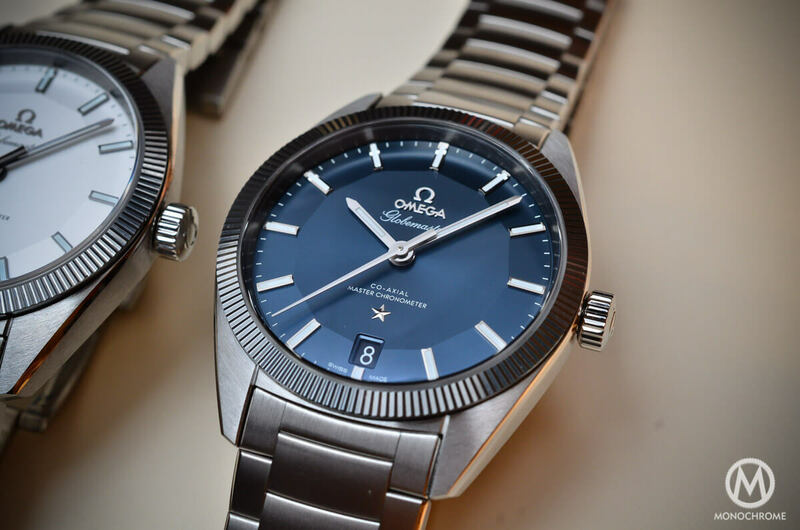 Your brief but well organized journey through the history of Omega’s Constellation/Globemaster models and the heritage their transmitted to the new models really catched up my attention on a Omega watch that I had not understood before. A great job, of which I deeply thank you. 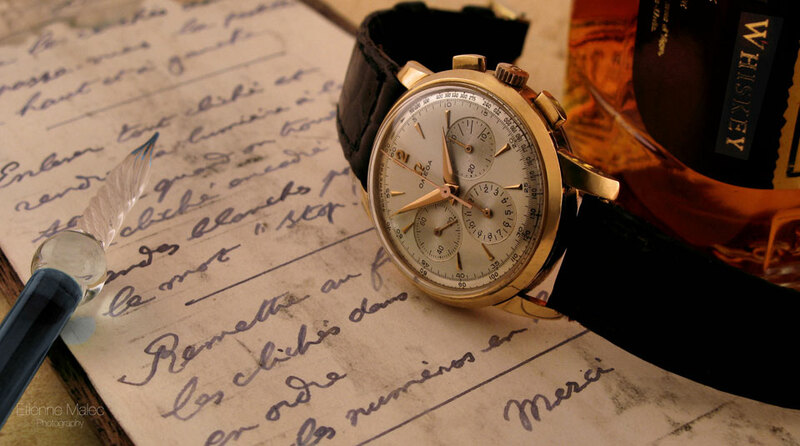 I have a Omega Globemaster which I purchased in Montreal in 1958 and cost me $135.00 + sales tax. I bought it with the plan to wear it for 25 years. Well I wore it for 44 years and in that time replaced the wristband 3 times and cleaned by the jeweller 4 times. It now sits quietly on the dresser top since the hour and minute hands lost their luminosity .